​There are many schemes available such as the MyHome, PR1MA, RUMAWIP, Rumah Selangorku and many more. Real estate agents get asked whether a commercial or a residential property is a good investment plan. Many people have been asking the meaning of SoHo. SoHo is known as small office, home office. Some SoHo units come with residential title, whereas some SoHo units come with commercial title. This article will list down the advantages and disadvantages of investing in a commercial property in Malaysia. The best reason to invest in commercial property over residential property is the higher income potential. Commercial property will normally have an annual return on investments between 6% and 12%. In addition, the price of commercial properties can increase by double in a short time (3 to 6 years) as compared to residential properties where it would normally take between 7 years to 10 years. This however, is large depending on the area of the property. Commercial tenancy will have a longer lease between 2 years and 10 years, whereas residential tenancy will turn over every 6 months to 12 months maximum, which is considered short as compared to a commercial tenancy. Renovation is needed to suit the business needs of the tenants, therefore, tenants will be spending a huge sum in renovating the shops to maintain the store image. After all, it is important to look presentable to attract the customers’ interests. Hence, the property owner and the commercial tenants will have their interests aligned: the owner will be able to maintain the property’s quality and the tenants will be able to attract more customers. You will need to fork out a big initial capital as compared to residential property for 2 reasons: commercial properties are more expensive and lower loan financing from the bank. With bigger initial investment spent on a residential property, you can only the gain in revenue will outweigh the gain in cost. The percentage of tenant quitting the rent will be higher than the tenant quitting the lease in a residential property. This is largely depending on the demand in rental yields. If the location of the commercial property is not located in a hotspot area, the risk will be even higher. Obtaining a commercial property loan is typically much harder than obtaining a loan for residential property. Even if you manage to secure a commercial property loan from the bank, the percentage of loan secured is much lower as compared to the loan obtained for residential properties where it can go as much as 90% loan financing. In conclusion, commercial property in Malaysia can be a good investment option as well as commercial properties can offer a more rewarding income but with more risks. Whether or not to invest in commercial properties in Malaysia is depending on your property investment portfolio and how much risk you are willing to take. Buying a house is made easier with the available schemes such as RUMAWIP, and so on. 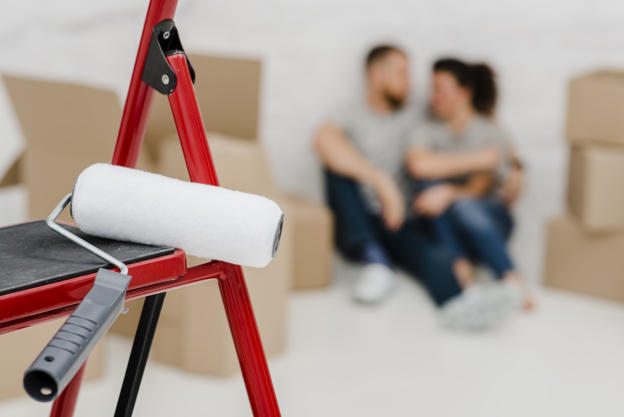 Renovation will start right after you collect your keys, but before you start renovating your house, there are some home renovation mistakes that you should avoid. Many homeowners follow the trendy home design that they love blindly to create a space that they love. As a result, they forget about renovating the house to look more appealing to potential buyers or potential tenants. Do bear in mind that you are renovating your house to possibly increase the property value for reselling purpose in the future and not for you own stay. Most homeowners focus on renovating the kitchen and bathroom only, forgetting that there are many other things that need renovation as well. That being said, do not focus renovation on only the kitchen and the bathroom. It is equally important to renovate every aspect of the house, especially at places that need renovation the most. Homeowners should consult with real estate agent to make sure their renovation plans will not price it out from the neighborhood. That being said, having a granite for counter surface will not give you higher price of return on investment if everyone in the neighborhood is upgraded to laminate only. Do your research in advance to know the average value of the properties in your neighborhood. Property buyers tend to think that all investments equal to the equivalent amount of increased value. However, that is not the case. For instance, an additional of a swimming pool will add little to no value the the resale value of your home. Instead, property buyer should focus on universal appreciated things such as an updated kitchen, bathrooms, and master bedroom. Most homeowners upgrade everything at home thinking that they should to increase the house value. However, this is not true. The key is to do 20% upgrade that will further add the remaining 80% of the value. The remaining 80% will be mainly cosmetic and definitely cheaper than what is expected. The cost to hire a professional might be expensive but it is definitely worth it. The interior designer will handle everything about your home renovation from designing your house to buying the necessary items. In addition, hiring a reputable professional will avoid you from spending money unnecessarily on things that do not increase your property value or things that seem distasteful to potential buyers. Many homeowners invest in costly renovations thinking that it would increase the value of their property investment. However, some investment may backfire and bring negative effect instead. Therefore, do your research ahead on what is needed and prioritized in the property market before you do any renovations to your house.